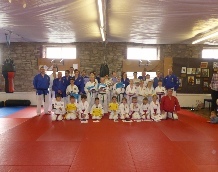 We offer a range of classes across our dojo's, for both senior and junior ages. View our Dojo's page to find out what is available in your area and more individual dojo contact information. Please feel free to contact us or check out our upcoming events for more info! Kuon JI Ju Jitsu have been established since March 1997, in which time we have built up a very successful Association over the years with a tremendous reputation for no nonsense Ju Jitsu. 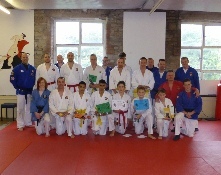 We have a vast knowledge of Ju Jitsu and other Arts and a full Syllabus from 7th Kyu to Senior Dan Grades. Senior Instructors have been training for over 50 years. We ensure that all our club instructors hold indemnity insurance, carry a current First Aid Certificate and are fully CRB checked, ensuring that all our students are allowed to train in a safe environment with a child protection policy in operation and Child Protection Officer available 24/7. Our aim is for students to train in a safe environment without being charged extortionate rates, run a pay as you train policy. All students hold a current membership and insurance through the United Kingdom Martial Arts Council..